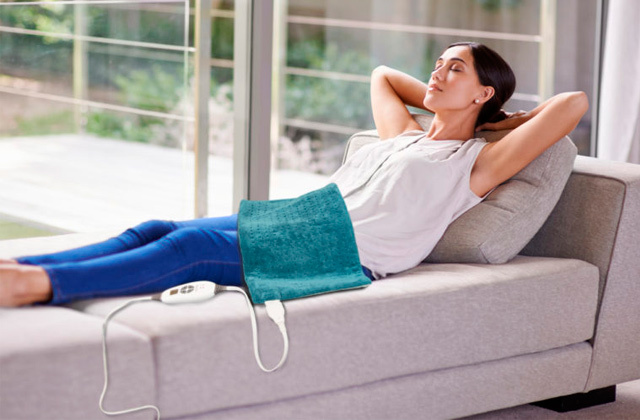 The floating heads of this device precisely contour every curve of your body and have enough space to allow you to spend as little time on your epilation process as possible. Might cause unpleasant feelings in delicate areas. With this Finishing Touch Women's Hair Remover the process of epilation will be easy, comfortable and with no irritation. The device has a convenient ‘Palm perfect' design and bright built-in light that won't let you miss any hairs. It is suitable for any skin type. The working head of the tool has a pointed shape that helps comfortably model the shape of your brows by yourself, without the help of a make-up artist. The cap might be hard to clean after the procedure. The Finishing Touch FTFLPBMO epilator gently removes even the thinnest and shortest hairs on your face, a real catch for every girl. 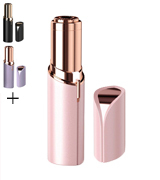 You can take it with you everywhere - the tool is not bigger than an ordinary pen, and it will easily fit in every makeup case. When you turn the epilator on, the LED light turns on automatically, meaning that the device is ready to work instantly. The included battery dies quickly. 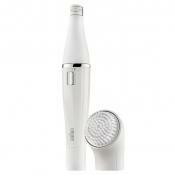 With the unique Finishing Touch FTFLLP3 Face epilator, hair removal will be quick, effective, and completely painless. Thanks to the special working head form, the razors won't damage the delicate skin on your face, so you can go about your business right after and have no worries about your look. This model comes in 4 colors. 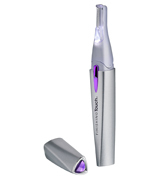 The device comes with two working attachments - Trimmer head and Smooth micro foil head. The first one is for working on the larger areas, the second one allows you to reach all hard-to-get places. The working elements should be regularly lubricated with mineral oil or baby oil. 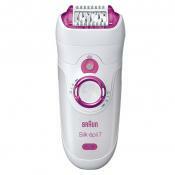 This Finishing Touch body epilator uses micro-oscillation technology and removes all unwanted hairs in one stroke. It can deal with hair of any thickness and density, regardless of the skin type. For your safety and extending the battery charge, this tool will automatically turn off if the working part hasn't touched the body in 6 seconds. The rotating working part of the tool offers additional comfort in use and is complemented by two adjustable brushes of different length for even more precise work. The cap of the battery compartment tends to slip off. 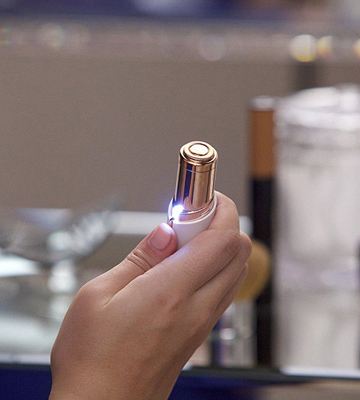 The Finishing Touch Lumina will become your personal skincare assistant. 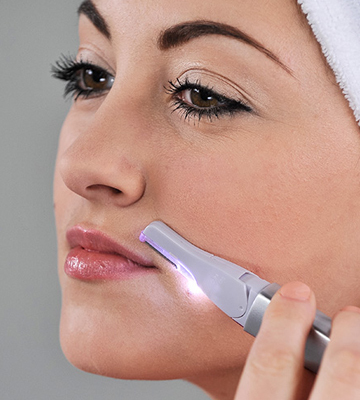 This tiny device will let you enjoy perfectly smooth skin with no cuts and irritations. The tool is easy to use thanks to an ergonomic handle and LED light. Every woman knows how challenging and tiring it can be to do legs so they look smooth and nice for a long while. If you want to make your life easier and forget about constant cuts and irritations, the Finishing Touch Flawless Legs Remover will help you a lot. This tool can become your irreplaceable appliance that will make the process of hair removal fast and effortless. Thanks to its convenient design, the hair remover easily fits in a palm of your hand and gives you perfect control over the epilating procedure. 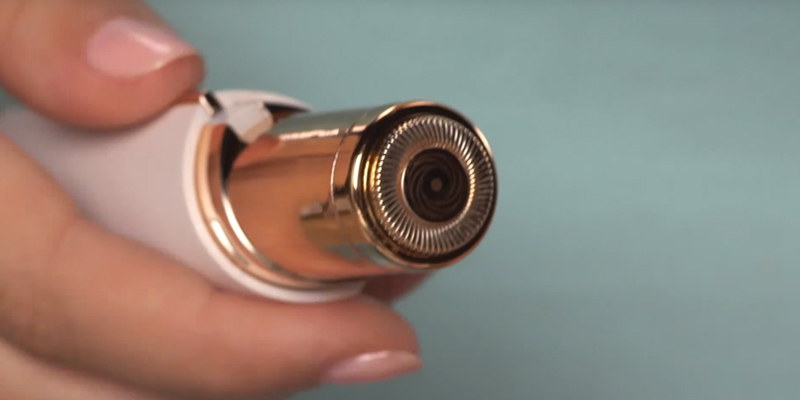 The working part of this hair remover consists of four 18 karat gold-plated floating heads. These heads are wide enough to allow you to remove more hair in a fewer number of strokes and are shaped so that they can precisely contour your body curves. Plus, they feature a built-in light so you can be sure you'll not miss any hair. The best thing about the Finishing Touch Flawless Legs epilator, however, is that it can be used on all skin types without causing any irritations. It needs neither soap nor water and you can use it anywhere, if necessary. Granted, you will need to keep an eye on its charge and clean it occasionally with a special brush (included) of clippings. Maintaining the epilator clean will let you extend its service life significantly. 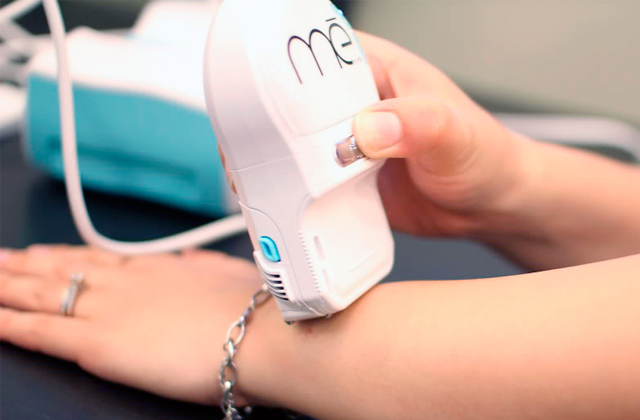 With the Finishing Touch Women's Hair Remover, the process of epilation will be easy, comfortable, and irritation-free. Plucking and shaping eyebrows is a beauty ritual many people do on a regular basis. The problem with it is that it's not always easy for a regular user to achieve that sharp and defined brow look without spending a good chunk of time. If that sounds familiar to you, the Finishing Touch FTFLPBMO can become your solution. Due to the fact that the FTFLPBMO remover's fitted with sharp pluckers, it will not grab more hairs than you want. And for the same reason, it will be ideal for quick touch-ups, eliminating the need to wait until the hair grows back. Plus, this hair remover is incredibly easy to carry around as it has very small size, making it extremely portable. 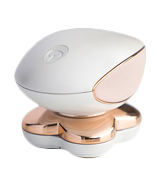 Approved by dermatologists, this device is hypoallergenic and will be suitable for people with sensitive skin. 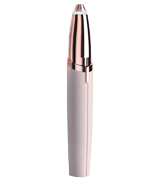 This hair remover is fitted with an 18K gold-plated tip which not only makes epilation painless but also contributes to the safety of the procedure. 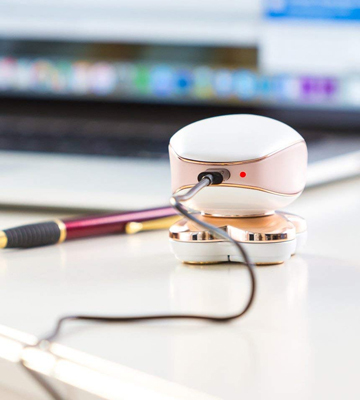 Another feature convenient about the Finishing Touch FTFLPBMO is that it has a built-in light making it easy to spot fine hairs that you want to get rid of. Though we haven't found strict rules about how this eyebrow hair remover should be used, we'd suggest you apply it on the dry and clean skin for better results. 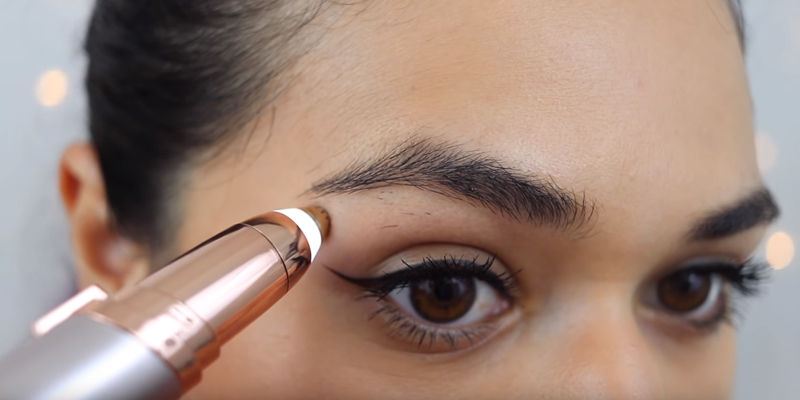 The shape of the device makes it possible to use it comfortably above, underneath and between your brows so you don't need to use any other tools for trimming your brows. The only tiny inconvenience some people report is that cleaning the cap after use can be a little challenging. 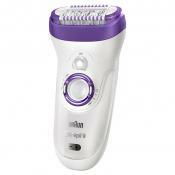 In conclusion, the Finishing Touch epilator gently removes even the thinnest and shortest hairs on your face. 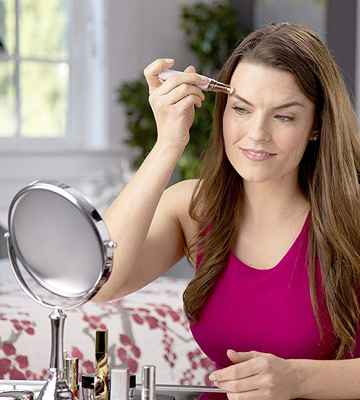 It's sure to be a real catch for every girl who wants the perfect brows. If you want to make the hair removal process less painful, then the Finishing Touch FTFLLP3 remover tool should be right up your alley. With this hair removing device, you will be able to get rid of all unwanted hairs and do it without experiencing any painful sensations. Applying the Finishing Touch FTFLLP3 to your face will not only allow you to remove unsightly hair but also make your complexion more radiant and healthy-looking. Equipped with an 8K gold-plated tip, the Finishing Touch FTFLLP3 is suitable for people with any skin type including sensitive. It works gently and doesn't cause allergic reactions. Using this hair remover, you will be able to achieve the smoothness of waxing but without its characteristic redness and pain. Also, unlike waxing procedure that requires growing hair to a certain length, you will be able to repeat the procedure once you notice your hair re-grows. The biggest advantage to using the Finishing Touch FTFLLP3, though, is that your hair will become thinner after every procedure, thus becoming easier to be pulled. The Finishing Touch FTFLLP3 is portable and works on one standard AA battery. Thanks to this, you can take it with you on any trip. Some users note that the device goes through batteries quite quickly which is why we'd recommend you keep at least several at hand. Drawing conclusion, with the Finishing Touch FTFLLP3 the procedure of hair removal will be not only fast and comfortable but also painless. The device has a special form of the working head which excludes the risk of cutting yourself while epilating face or any other body zone. This means you can go to work or anywhere else just after procedure and have no worries about how you look. The Finishing Touch Yes FINTCHY Hair Remover is a perfect tool for those who can’t stand pain that accompanies epilation and waxing. Not only does this hair remover allay painful sensations but also you can use it on any body part including your face. The benefit of the Finishing Touch Yes Hair Remover is that it comes with two working attachments - a trimmer head and a smooth micro-foil head. The former one is best for larger body areas, while the latter one is used for reaching hard-to-get places. 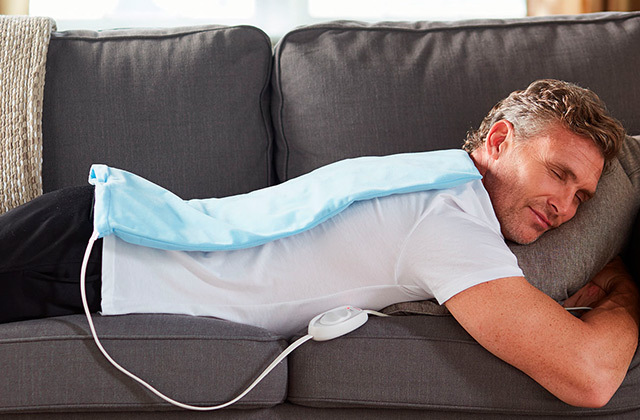 One of the more convenient features of this hair removing device is that it can keep the battery charge by turning itself off when not being in contact with the skin for longer than 6 seconds. When reapplied to the skin, it automatically turns on. This makes it economical in use. On top of that, the Finishing Touch Yes FINTCHY Hair Remover is very easy to use. 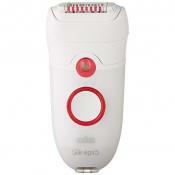 It features a built-in LED indicator that illuminates the trimming area, making epilation easier and more convenient. The device doesn't tend to leave cuts, nicks and irritations and works gently, so the painful sensations are maximally reduced. The Finishing Touch Yes FINTCHY Hair Remover takes advantage of the micro-oscillation technology and removes unwanted hairs in one stroke. It can deal with hair of any thickness and density, regardless of the skin type. A perfect way to groom with no pain at all. Need to quickly touch up your face before a date or a business meeting? 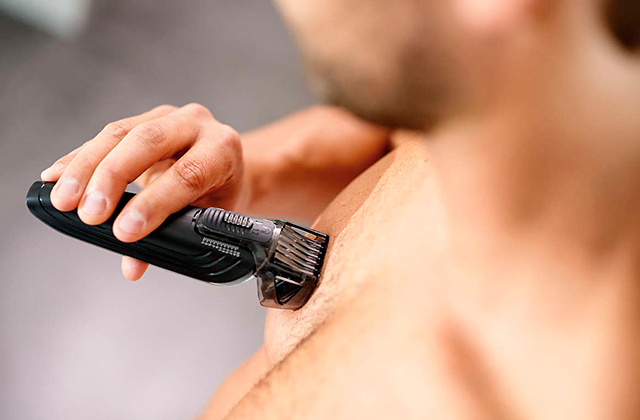 The Finishing Touch FINTCHL Lumina tool is great for removing facial hair on the go. It comes with 2 attachment combs that help make the process quick and easy. The rotating working part of the device stands out with the additional comfort in use and is complemented by two working brushes of different length adjustments for even more precise results. Its pivoting head is fitted with micro-oscillating blades, which means the tool won't be able to cut or damage your skin. 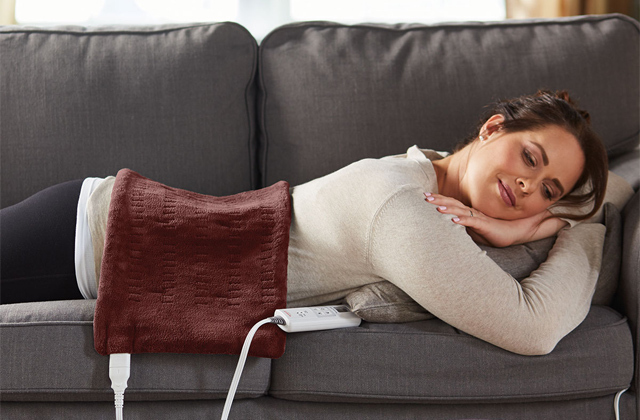 With that, it generates more than enough power to remove hairs quickly so that you experience little to no pain. The Finishing Touch FINTCHL Lumina Hair Remover comes with one AA battery, which is ready for work out of the box. One little inconvenience you might face is that the cap of the battery compartment might sometimes slip off, so be careful when carrying it with you. Other than that, there aren't many flaws to the tool and we can almost describe it as perfect. It features a built-in LED light that helps notice even the shortest hairs and it has the right size making it very portable. Thanks to all these, you can take it with you anywhere you want, it will easily fit in your handbag or even purse. For those who have the problem of peach fuzz, the Lumina Lighted finishing touch hair remover is one of the better solutions out there. What Is a Finishing Touch Hair Remover? There are plenty of different ways to get rid of unwanted hairs all over your body. Nowadays, the beauty market is full of different hair remover models that you can safely use on different parts of your skin and have perfect results for weeks. 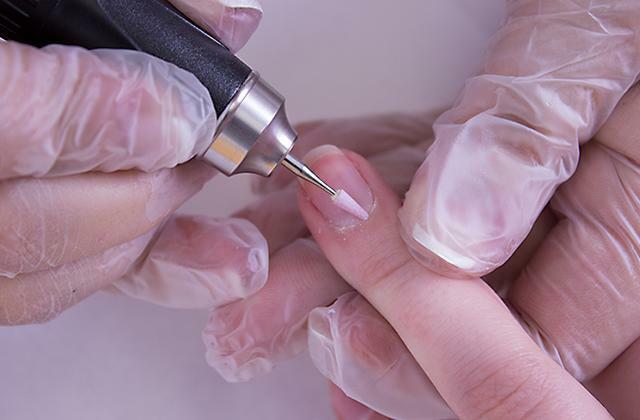 Some of them work like epilators and pluck the hairs out, which makes the effect very long-lasting. Others are equipped with little sharp razors that shave the hairs and make the procedure of hair removal completely painless. 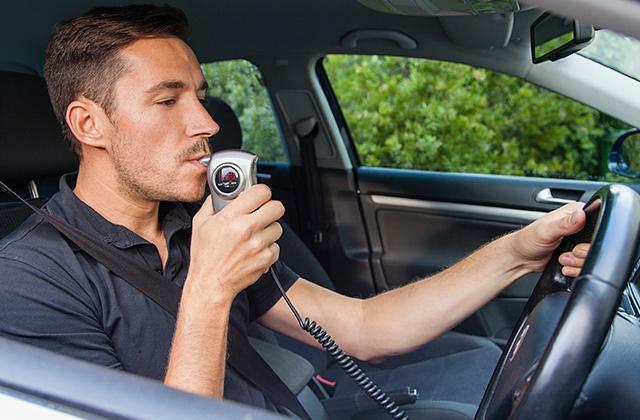 The major plus of these tools is definitely the fact that all of them can save you a lot of time and even money. 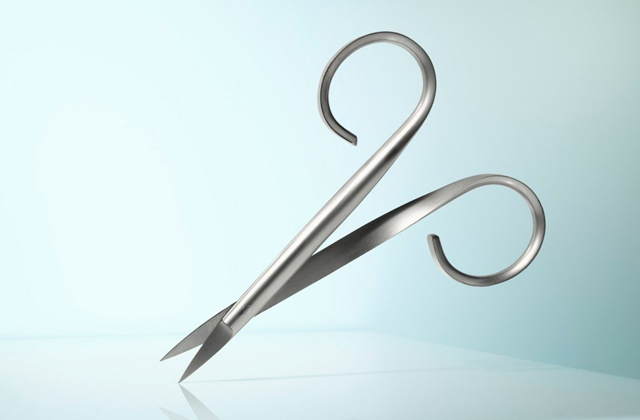 Everyone knows that the procedure of hair removal can be somewhat tiring and time-consuming. 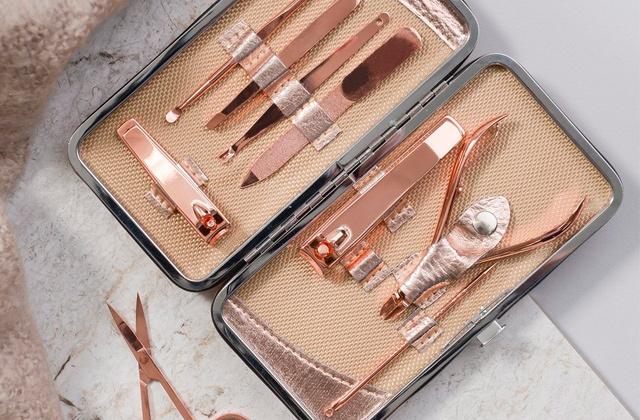 But, after purchasing one of these tools, you won’t have to spend hours on visiting a beauty salon or buy depilatory creams. 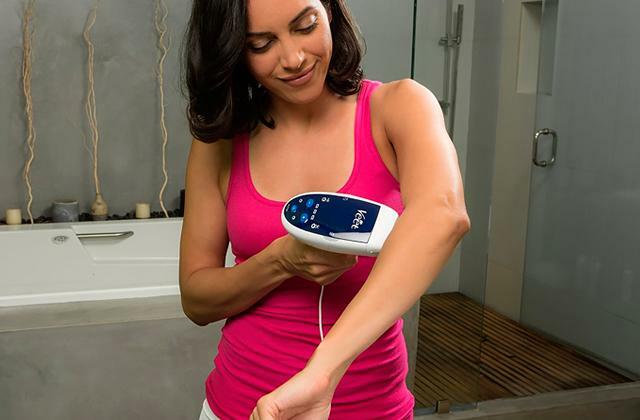 In addition to this, such devices are a perfect match for people who are allergic to such creams or can’t handle waxing. These tools usually come with different types of caps and nozzles, so you need a hair remover to work on a particular body part, there won’t be a problem to select one. So, if you would like to look stunning all the time, check out the following models and find the right one for you.